Will the introduction of the new 5 per cent rate of stamp duty for property worth more than £1m to have any impact on the housing market? Fleming-Duffy: No, because they do not account for the vast majority of property trans- actions, reported at around 1 per cent of transactions for 2010. There has been some increased activity around the deadline for properties being sold at over £1m as completion before April 5 would have saved at least £10,000 in tax but there will be no long-lasting effect of this rate hike. We should expect to hear of increased negotiation on properties that are being sold around this level but this is experienced at all stamp duty thresholds. Lipnicki: It will have very little impact. The extra £10,000 is unlikely to deter buyers who can afford £1m properties and the money raised will fund the Government’s loans for first-time buyers. However, in my view, it would have been wiser to put this cash into a stamp duty holiday for properties priced up to £250,000. That would make a real impact as transactions would increase and a little momentum in the market would bring in stamp duty from higher-value sales. Wade-Jones: I feel it will have little impact on the top end of the housing market. The reality is the wealthy end of the market still have plenty of money and an additional charge of 1 per cent will become insignificant when put alongside legal fees, estate agent fees of up to 3.5 per cent plus VAT and ever growing lender and valuation fees. Many of the people in this bracket will have earned vast amounts of money over the past decade through their properties, so this is small beer in terms of payback. It must also be recognised a large number of buyers in the £1m-plus market will be from overseas, where total buying costs of over 10 per cent are commonplace anyway. It was reported last week that the number of mortgages now on the market is above 10,000, more than twice the number in the market only a year ago. Is the increase in number of loans available a sign that real competitiveness is returning to the market? Fleming-Duffy: The sheer volume of mortgage products confirms the mortgage market is making a spirited recovery. Many new lenders have focused on the intermediary market and this has provided consumers with more loan availability when they have more complex requirements. The industry must not get complacent, however, as we must not underestimate the effects of the forthcoming mortgage market review and the proposals set out in the recent EC directive. As global regulation starts to evolve and take hold, economies that are heavily reliant on consumer credit and homeownership – such as ours – may start to suffer. Lipnicki: This is a positive sign but far too many of the 10,000 products are competing for the same small pool of low-risk clients. That is great news for anyone with a spotless credit rating and low LTV but it leaves too many homeowners stuck in a rut in the market. They are unable to remortgage and are vulnerable to interest rate rises as a result. I would like to see more lenders – particularly those bailed out by the taxpayer – making funds available to a wider variety of people. Wade-Jones: I think there is certainly greater competitiveness and it should be encouraged. However, there are more significant factors other than the number of products available to a bank that indicates their willingness to lend. The main ones are credit-scoring, loan to value and affordability models. The true test of competitiveness in the marketplace will be when one bank makes a significant step forward on one of these and the others follow so as not to lose business, rather than worrying about how big their portfolio of trackers is at 50 per cent loan to value compared with the next lender. Following George Osborne’s announcement that the 50 per cent upper rate of income tax would be a temporary measure, it has been suggested that the mansion tax favoured by the LibDems could be introduced to replace it. What would a 1 per cent annual levy on the value of houses worth over £1m do to the housing market? Fleming-Duffy: The current system of property taxation is outdated, being based on property prices in 1991, with all properties valued above £320,000 in that year paying tax in the same band, and is in need of essential reform. The mansion tax is a good idea as it will redress a system that penalises hard work and rewards idle wealth, its only downside is that the LibDems are its originators and they are currently receiving a battering by the public. Again, we are likely to see much haggling over properties that sit around this threshold but it will not have a widespread effect on the housing market. Lipnicki: The LibDems fail to recognise that owning a £1m-plus house is no indicator of high earnings. The Richmond pensioner living in a £1.5m “mansion” bought for £20,000 over three decades ago should not be paying £15,000 a year in tax for it. That said – I really do not think anyone should lose sleep over mansion tax – it will never happen. It is unrealistic and would be grossly unfair – just think of all those poor Tory MPs forced into £999,000 pads! Incidentally, I wonder if Nick Clegg has worked out why his party lost Richmond to the Tories last May? Wade-Jones: It would effec- tively become a postcode tax with one property costing £10,000 a year more than an identical property two roads away. It would be extremely harsh to people on lower incomes who live in a once modestly valued home that has increased in value dramatically over the years. I do not see in practice how this could be policed as the valuation of a property is so subjective – even our current council tax bands are based on valuations from years back. The cost of valuing every potential £1m home in Britain and then monitoring its value as prices rise and fall would be huge and extremely unwelcome in these economically uncertain times. 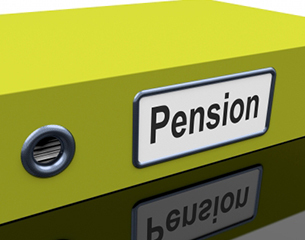 The default retirement age is being removed, allowing people to work past the age of 65. As a result, do you expect to see mortgage lenders increase the standard term for mortgages, particularly as this could help tackle the problem of affordability? Fleming-Duffy: The removal of the default retirement age has more to do with employment law and the inability of employers having the right to force employees into retirement than mortgage availability and increased affordability as lenders are already bound by the FSA to ensure they have appropriate policies in place when assessing a potential mortgagor’s ability to service a debt beyond their expected retirement age. Many companies currently allow employees to work on until 70 and this is acceptable to many lenders based on the reasonableness of their ability to work to this age. Lipnicki: 65 is the new 60 and it will not be long before 75 is the new 65 but I fear that lenders will be slow to accept this as the norm. We need to see the ageing population catered for in mortgage products. Interest-only loans are becoming a thing of the past and although many of us now expect to work beyond the age of 65, far too many people are forced into a term that ends at this young age. Wade-Jones: One would hope so. However, I suspect that many of the lenders would still keep their policies on retirement age exactly as they are now. Many lenders take the nature of a person’s job into account when deciding what retirement age is feasible, and quite rightly. This means that a self-employed accountant may already be assessed up to a retirement age of 75, whereas a project manager for a construction firm will be allowed to use the default age of 65, assuming everything else is watertight. I feel that this practice will continue regardless of what the default retirement age is, so it will have little or no impact on affordability other than for office workers and those working in the public sector. I tend to agree with Hugh Wade-Jones in as much as this end of the Market is pretty much impenetrable. If the government is short of money they could do worse to a start here.